Supertuff manufacture a range of 8 different sized mobile container trucks ideal for industrial storage and materials handling applications. 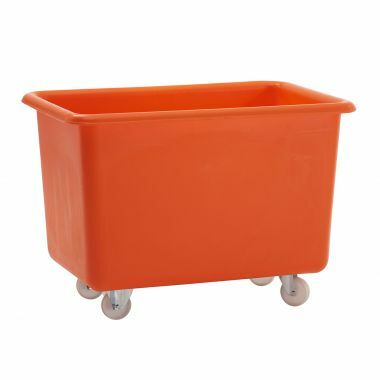 Produced in our UK factory we manufacture these large plastic skips and premium tapered trucks from food grade polyethylene using a rotational moulding process. This stress-free production process ensures a large plastic container that is seamless, watertight and incredibly strong and durable. 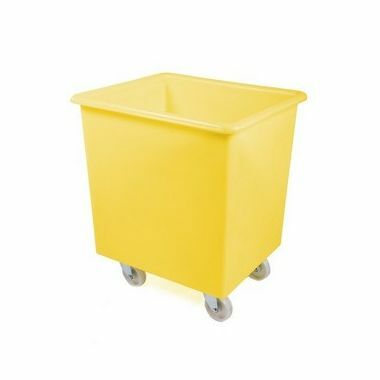 Manufactured from food grade plastic material these plastic tapered trucks are ideal for a wide variety of environments. 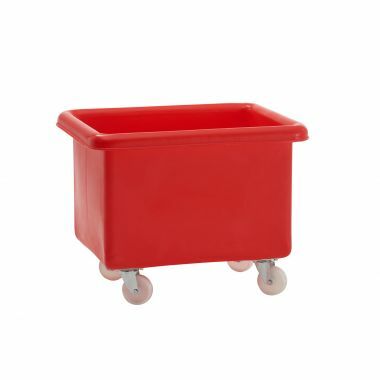 Commonly known as mobile container trucks these plastic containers with wheels are also often called premium tapered trucks, catering bins, dough containers, flour bins or plastic mobile tubs. 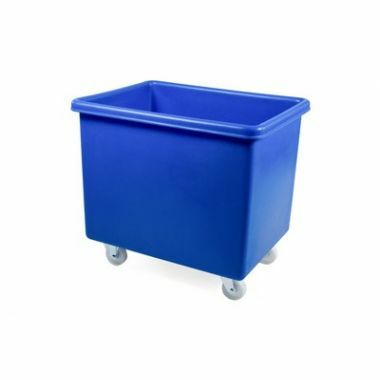 Used throughout almost every industry sector, the plastic mobile containers are ideal for use within food manufacturing and food processing, pharmaceuticals and healthcare, catering and hospitality, waste and recycling, engineering and electronics, retail distribution and warehousing, textiles and clothing manufacturing, education, logistics and general manufacturing. 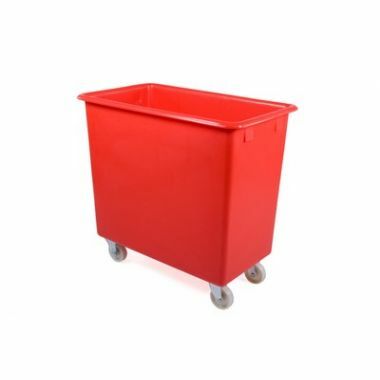 Commonly used within catering and hospitality establishments such as hotels, restaurants, commercial kitchens and the bakery industry, our smaller plastic tapered trucks including the RM16TR and RM26TR are often used as catering bins, large flour bins and ingredient storage containers. 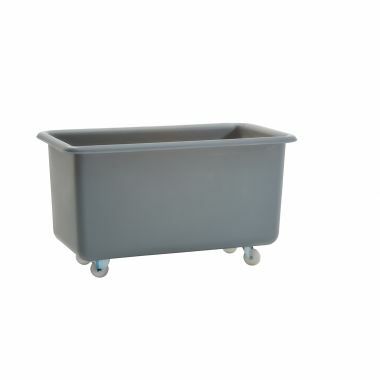 The seamless and smooth interior and exterior allows the mobile plastic bins to be easily cleaned and therefore they prove to be very hygienic, ideal for high care environments and for use within clean rooms. 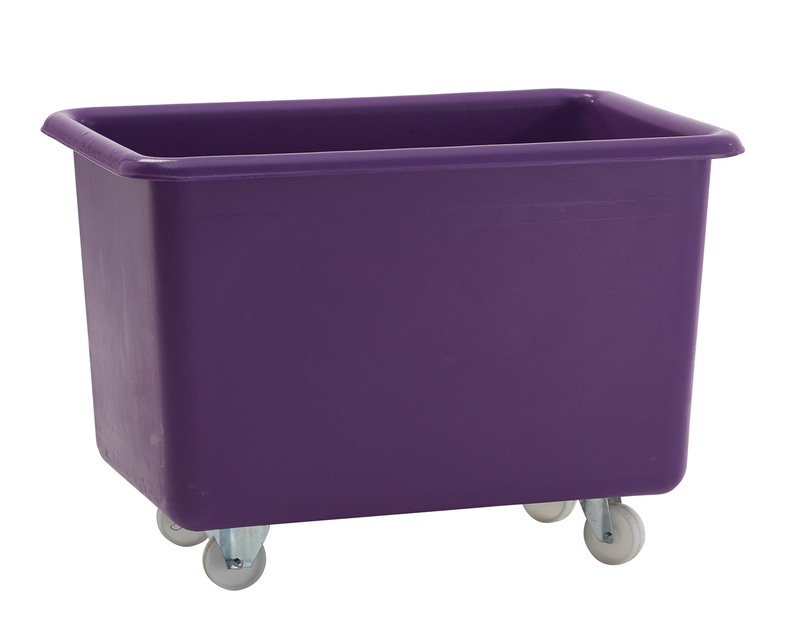 Each of these different sized premium tapered trucks are available in over 12 different food approved colour options to help assist with colour coding practices, departmental organisation, hygiene regimes, product separation and product segregation. 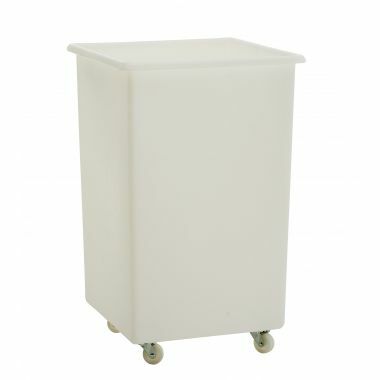 Optional drop-on plastic lids are also available to help cover and protect the large plastic skips contents. 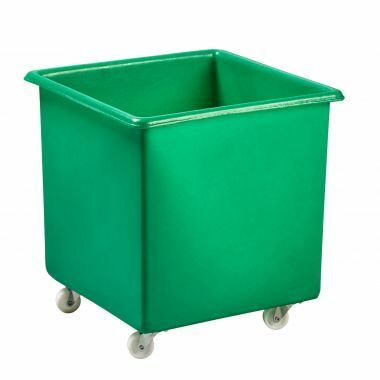 Alternative castor configurations, plastic taps and drainage holes and bungs can be fitted if required to help the mobile container trucks asisst with a wide range of requirements. Copyright © 2019 - Supertuff Europe. All rights reserved.